The engine is bloody heavy, I put a wheeled dolly under the engine then lifted the frame off the engine! If the bike is stripped that far it might be easier for you???? 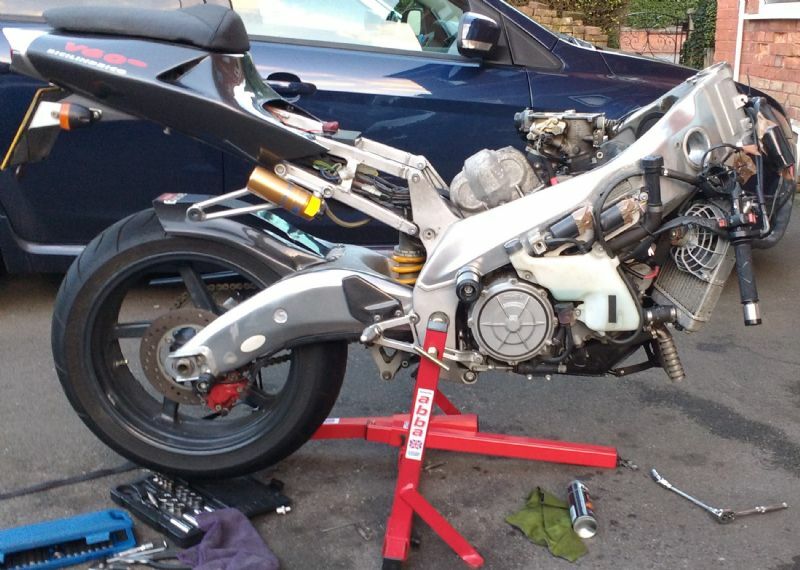 hmmm, I am thinking of getting it off the stand with some wooden crate underneath the engine to support the weight and then to remove the swingarm bolt. And then like you said-basically lift the frame off the engine. Removed radiator and oil cooler. Two bolts snapped while removing the radiator bracket. Anyways, can someone tell me if the throttle bodies can be on the engine or have to be removed before dropping. Looks like they can be although clearance would be very tight. If they have to be removed, what is the normal way? Removing the bodies with the coupling remaining on the intakes or removing the throttle bodies with the coupling? progress has been slow and setbacks many. the neutral position sensor wire screw won't come out -the slot has now been eaten by the screwdriver. I see it's just 1 wire. 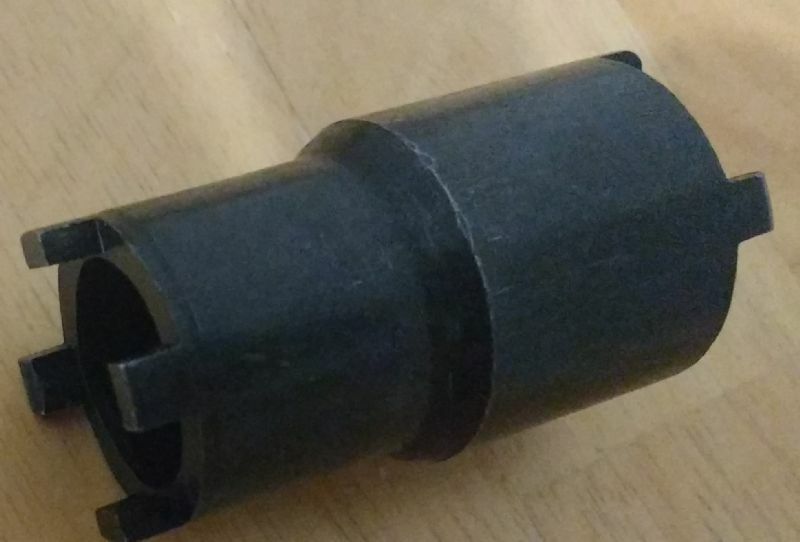 Can I simply cut it and then later solder a spade connector or there is some catch? thanks red. Re, the bodies,they have now come off. I just loosened the steel band screws and let the coupling on the intakes, a little wiggle and the bodies were free. They came off with the throttle cables intact. Had to detach the fast idle adjuster cable though, hopefully won't be huge pain reinstalling. simple to stick back on. on dropping the engine, Haynes says remove all right side engine bolts and then left. Sounds a bit odd to me, is this the right order of undoing the bolts? Also, how do I get hold of Johnboy cables? Is it the return fuel line or the braided feed line?, you can get the cables from AP or johnboy who is on this site, just do a search for him. 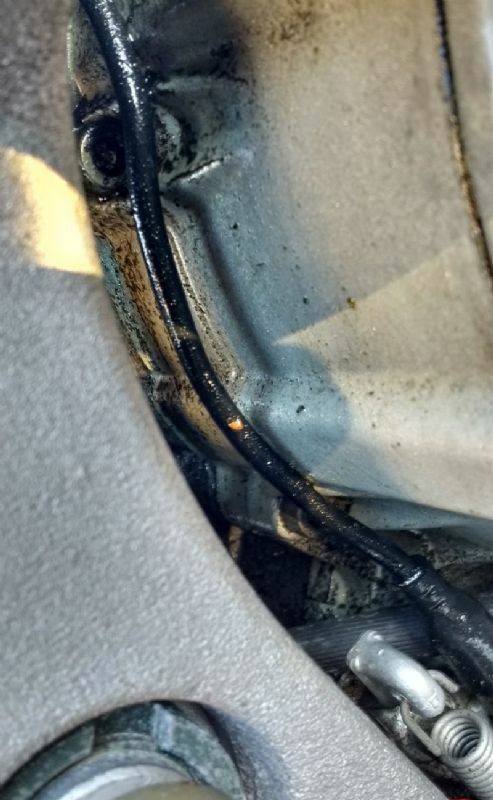 It's the braided fuel line. Will this do? providing it's the right length it should do. The OEM part was about £17 new but I just looked it up and the superseded part is now £89! Or take the original to your local Pirtek and they will make one up for you. I'll measure the length and see if the ebay one will fit although £5 seems too cheap. I'll try Pirtek , they are not far from me. Now, is there a gasket which needs to be renewed when the clutch and alternator cover goes back in? 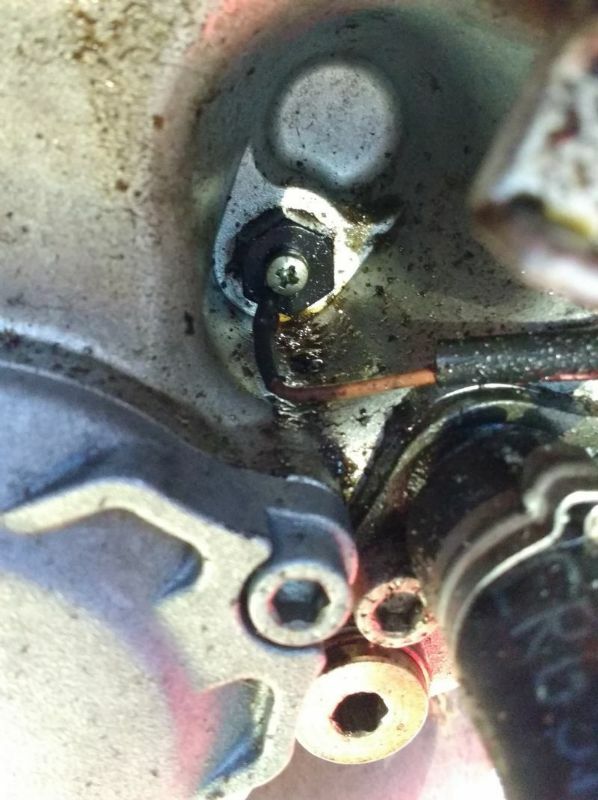 There's some leak at the right side near the water pump, but it definitely is from the clutch cover. 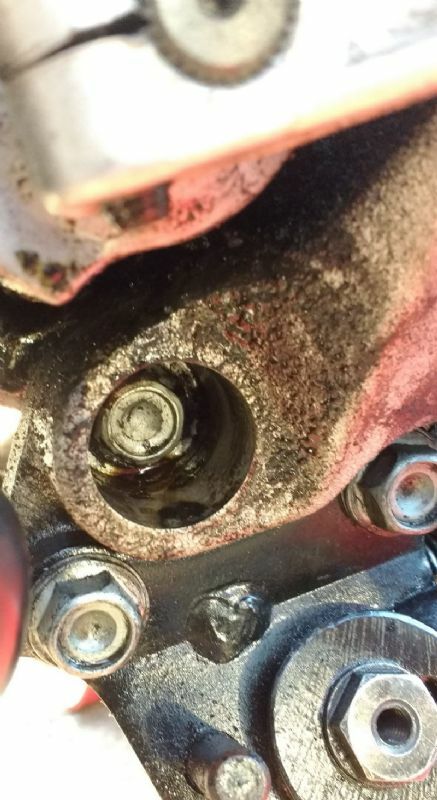 I couldn't see any gasket in the oem parts fiche...is it just an RTV/sealant ? The diaphragm for the slipper clutch doubles up as the gasket for the clutch cover. I am after engine mounting bolt locknut remover. Can someone help? Have trawled internet like mad and ordered 3 wrong fitting parts. I am after a socket which can go into the top engine mount hole in the frame to the right. Also snapped the two front right bolts. Was foolish trying to use the breaker bar on them. Should have used the impact wrench. Price would be a trip to a welder now. The snapped bolts luckily seem to have cleared the frame. 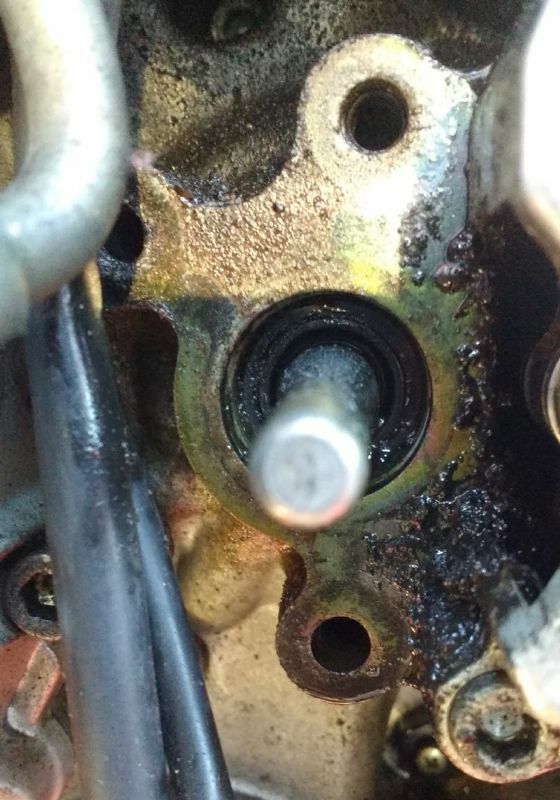 Can the engine be dropped with the spacers till intact? Give griff at ap a ring and ask if he sells them or knows a supplier. Thanks hemi, Redratbike game me a link which I think will do the trick.